I have made several trips to Ukraine. 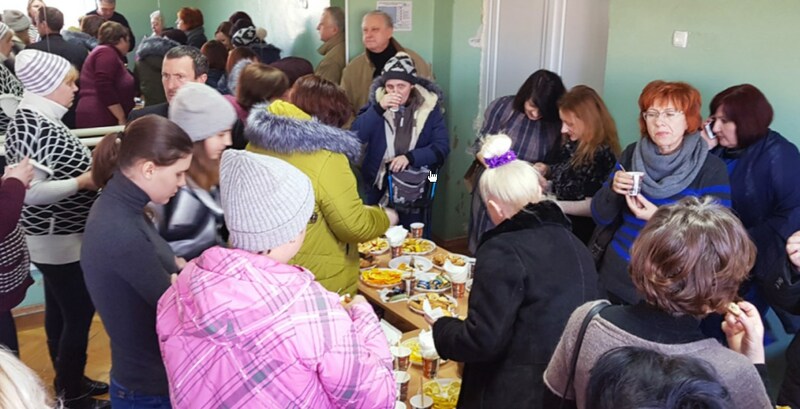 In March, I went to Burdaynsk and saw our soup kitchen up and running. We are feeding approximately 40 people there. They were very happy that we were feeding them. Most of the people were refugees from the war with Russia. I visited several of the people in their homes. paid to drive on such roads. I asked if he wanted the truth. He said yes. I said we don’t have such roads in America. For the past several months we have been operating in a defcit. We are a very small organization which is funded solely by our donors. We really need your help to continue our work. The 1,400 people we are feeding depend on it, and truth be told, we need to double the amount of people we are helping. If you would please consider becoming a regular, monthly donor, it would be a great help to us.